Use your email for a safer login (+ password recovery)! Your username will be removed. Forgot password? Password Recovery mail was sent! Use the toggle button at top, to see the shows you have to watch! Marking the latest episode as seen is one thing. The other thing is catching up to the latest one! Browse popular shows or recommendations based on your added shows! 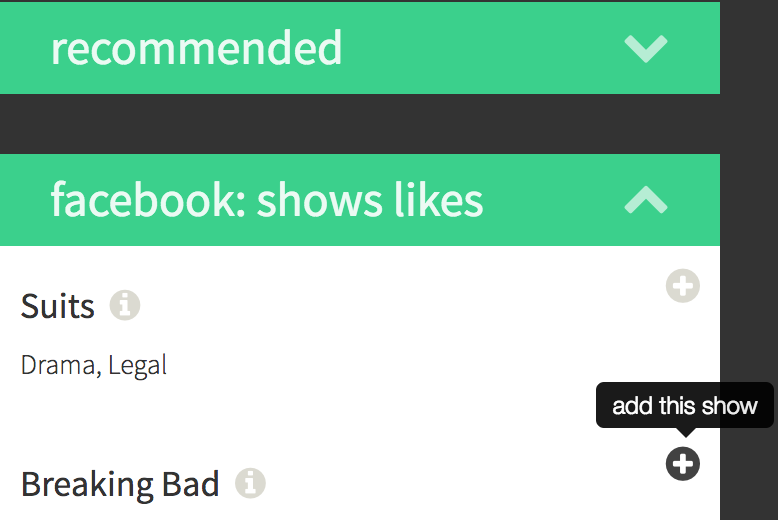 If you login with Facebook, you can also choose TV shows you liked.